Let your guests post their special messages in this lovely "post box", a sweet way to create a lasting memento of your wedding day. 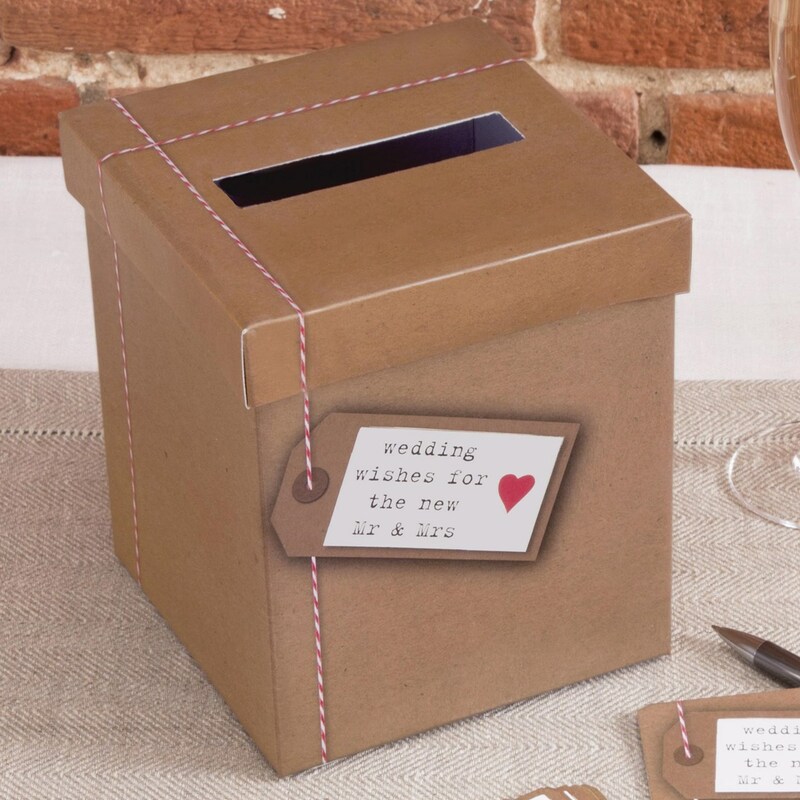 Designed to be used alongside the co-ordinating "Wedding Wishes" cards, this post box adds an original and interactive element to your wedding day. Guests can record their special messages then post them in the box, creating a unique and truly special memento you can enjoy for years to come. Part of the chic "Just My Type" range of table ware and decorative pieces, the post box and cards will create a fun talking point on your wedding day. Post Box Size: 140x140mm square, height 170mm. Designed to be used alongside the Wedding Wishes cards. Adds a fun, interactive element to your wedding day.